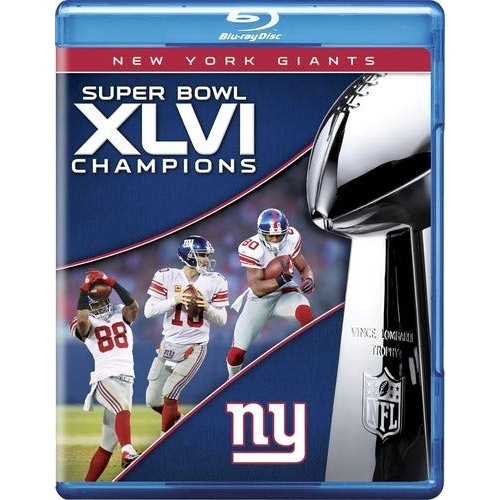 In early December 2011, the New York Giants were in deep trouble, staggered by a four-game losing streak that wiped out a 6-2 start and threatened to keep them out of postseason play. But a decisive win over the Cowboys earned the Giants a division crown on the final day of the season. Once in the playoffs, Big Blue took down the Falcons, Packers and 49ers to reach the Super Bowl for the second time under head coach Tom Coughlin. And in that rematch of Super Bowl XLII, the results were the same: Another Giant victory over the AFC's top-seeded New England Patriots. NFL Films takes you down the sidelines, on the field and into the locker room with exclusive access to all the vivid sounds and images of every game in this memorable season - coupled with exciting extra content detailing stores from the year, media day at Super Bowl XLVI, and the thrilling Lombardi Trophy Presentation. It's all here, every thrilling moment that enabled the 2011 Giants to bring the Lombardi Trophy back to the Big Apple.